Peanut Snax are a crunchy, coated peanut product, especially popular along the U.S. West Coast. 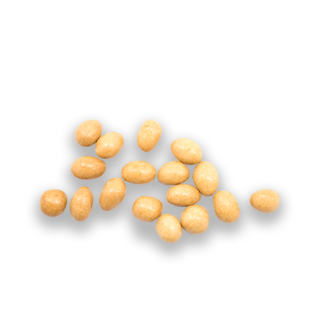 Produced in Asia, peanut snax are made from jumbo Virginia-style peanuts and are offered with various naturally flavored coatings, such as sesame seed, original, and Cajun. Red River is a major U.S. importer of peanut snax from China, the world’s largest peanut producer.